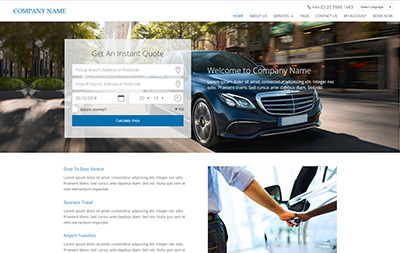 Quick, functional and made for the taxi industry – try our Starter Taxi Website Design! A new, fresh, clear, functional and modern website design can go a long way towards attracting new clients. 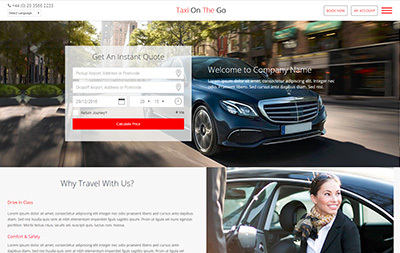 Take advantage of this by transforming your website with our affordable Starter Taxi Website Design templates. This is the perfect solution for any new business and every company that needs a quick yet durable website upgrade. All our designs are 100% compatible with other EasyTaxiOffice tools like the Web Booking System. They work together perfectly fine. 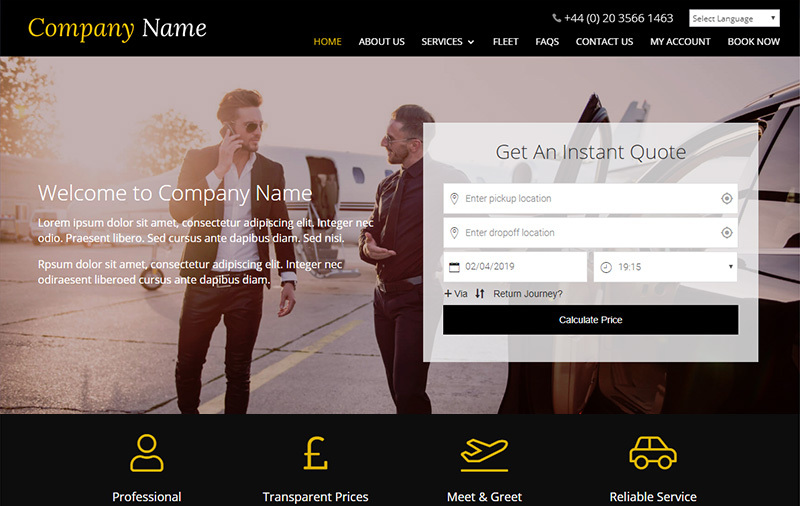 Thanks to the great amount of statistical data we took into consideration while building our templates, the website you receive is designed to generate more bookings, attract more clients and inevitably bring your company more money. All this for a very affordable price! For just £100 you can transform your website. Templates available only for clients who have bought the EasyTaxiOffice software.